Let us introduce a new figure to better identify every surfboard potential! Historically, surfboards have been described by a basic combination of length, maximum width and thickness. More recently the board volume has been introduced and sometimes used as the main information to choose a surfboard. Very basic informations indeed… possibly even misleading, when you consider the complexity of surfboard hydrodynamics. potential of the performance shortboards, for which the planing area is much more important than the total volume.  for the first time, expresses how a board actually performs. We called it the surf-ID. understanding of the board potential and personality, making your choice a wiser, smarter and better one. It turns out that the surf-ID is more user friendly than anything else you’ve ever learned about surfboards. For an intermediate/advanced surfer (and up to pro level) the surf-ID number will be quite close to his weight expressed in Kg. (ex. for a surfer weighting 70 Kg. the ideal surf-ID number will be around 70). The higher the number, the higher the planing potential! When a surfer is actually riding a wave, depending upon his position and line (racing down the line or tube riding, doing bottom or top turns, cutting back, cruising…), different parts of the board are generating the highest lift pressure. That’s crucial for performance response and prediction! We analysed all the information and data collected using a virtual simulator (CFD) to dissect the working conditions of a board and highlight the parameters that really affect its planing power. Then, we linked the pressure areas to the thickness and to a rail factor, to take into account inertial behaviour and rail shape influences. Finally, we combined all the defined and measured elements into a friendly formula expressing the dynamic planing potential of a given shape.  Let’s take an example here: three performances designs with similar measurements; the board on the right has the highest volume and the one on the left the lesser (they are taken from real shapes). How useful are these information? How about the planing potential of each board (speed, acceleration)? The surf-ID number tells us that is the left board that has the highest planing potential and the right one the lesser (the higher the number, the higher the planing potential)! 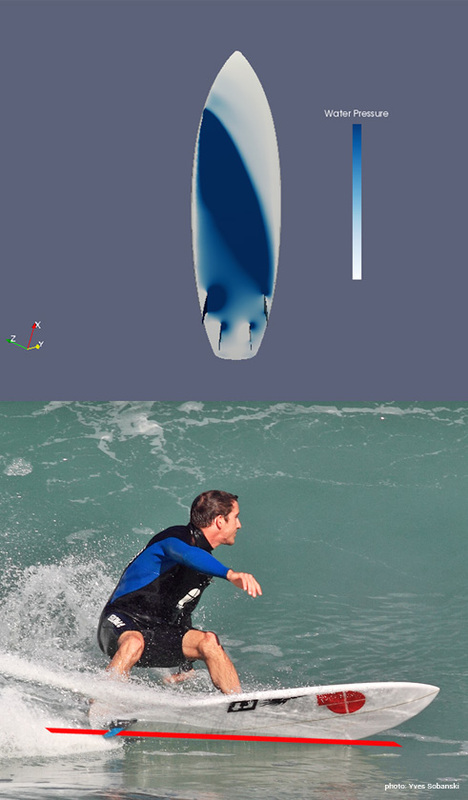 The surf-ID formula offers a more accurate and useful understanding on how the board will perform on a wave. Now, we are not pretending that a single number alone should decide if a surfboard is made for you or not. the surf-ID.number makes your choice a better one, by telling how a surfboard dynamically performs! In spring 2014, RT surfboards owner and shaper Alberto Galletti teamed up with a passionate surfer, naval engineer and fluid dynamics expert to accurately analyze the working conditions of a surfboard (and different fin set-ups) and highlight the parameters that really affect its performances. 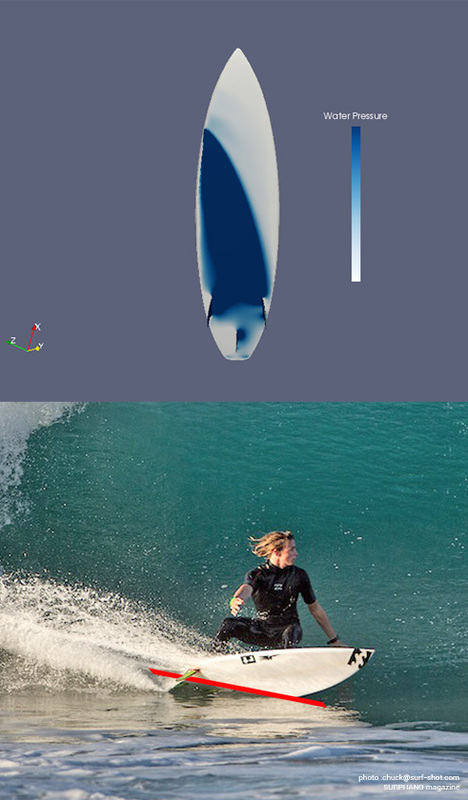 Using a virtual simulator (CFD), over the years that followed, they put under scrutiny countless different shapes, rail lines, set-ups and solutions, while developing the recent models of the RT surfboards range. At one point, at the end of the summer of 2016, they were discussing once again how and why the volume measurement was almost meaningless for a performance surfboard and how other aspects were more relevant. Only this time they went on searching for a solution to offer a more useful tool. 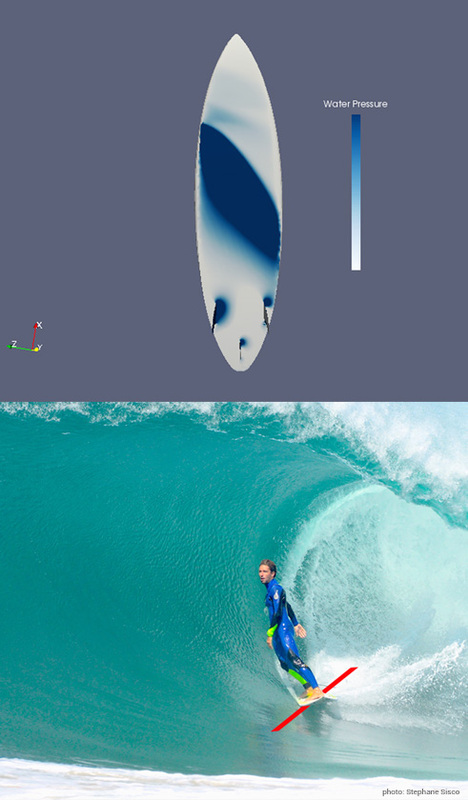 Using innovative technology, gathering the CFD data collected during years of surfboards development, and blending the experiences and knowledge coming from the shaping, the engineering and the surfing fields, they came up with the surf-ID formula we are presenting here! Interested? Contact us and ask for more! Let us know what you think about it, and feel free to share you thoughts and feedback. Get more information about the surf-ID concept and how to use it.